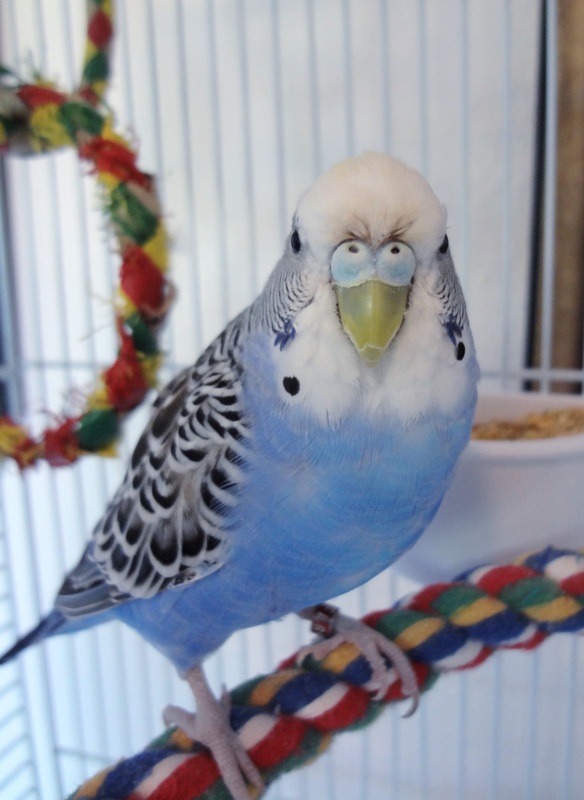 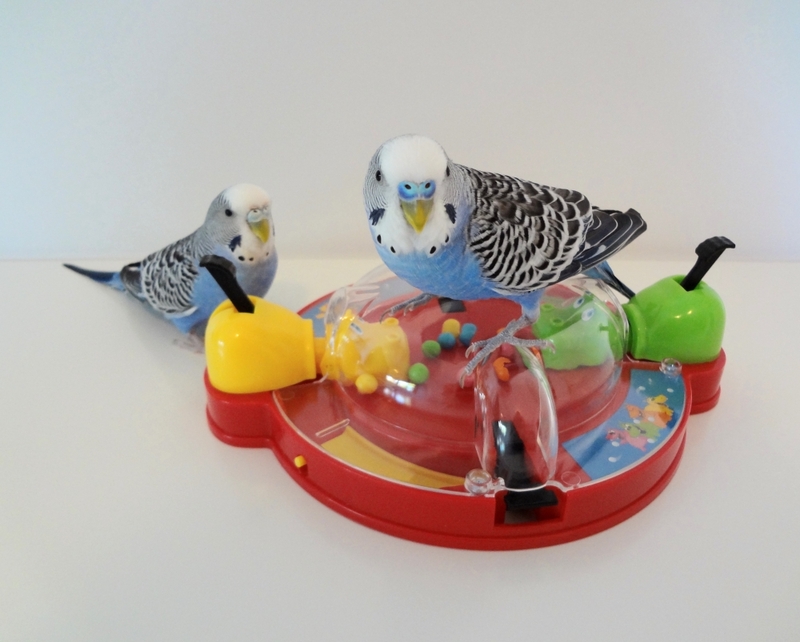 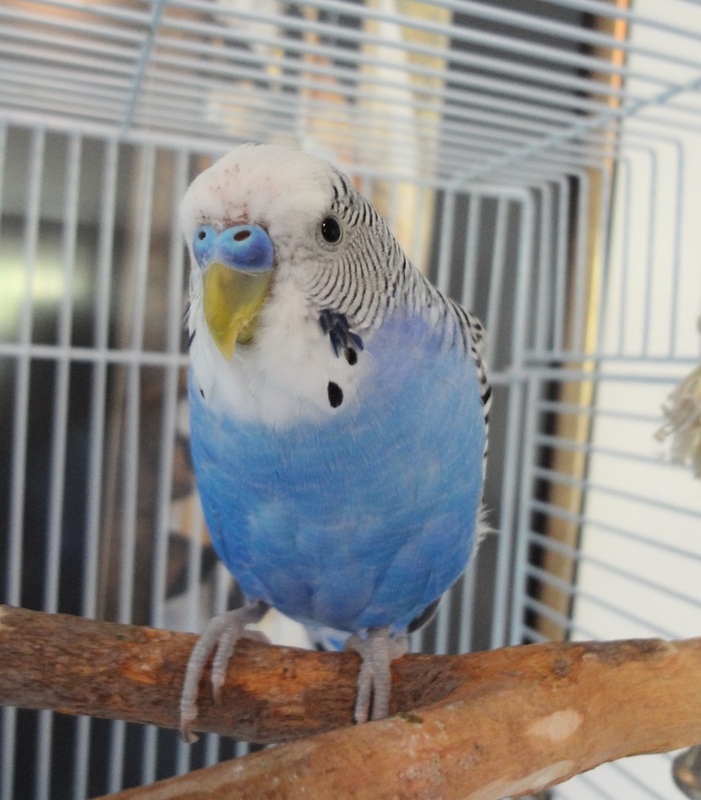 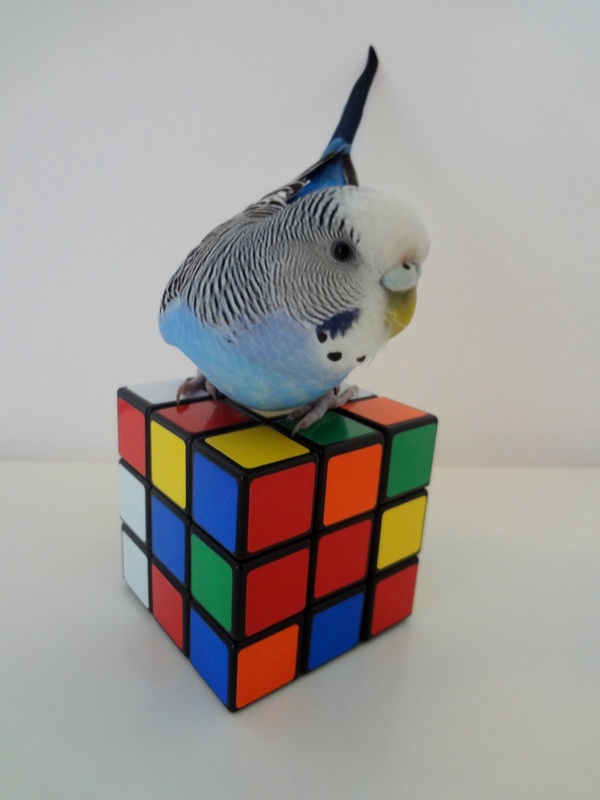 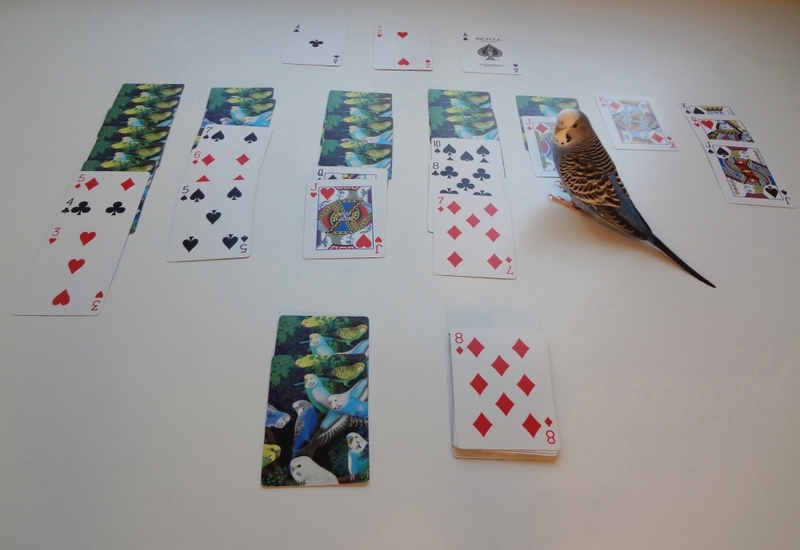 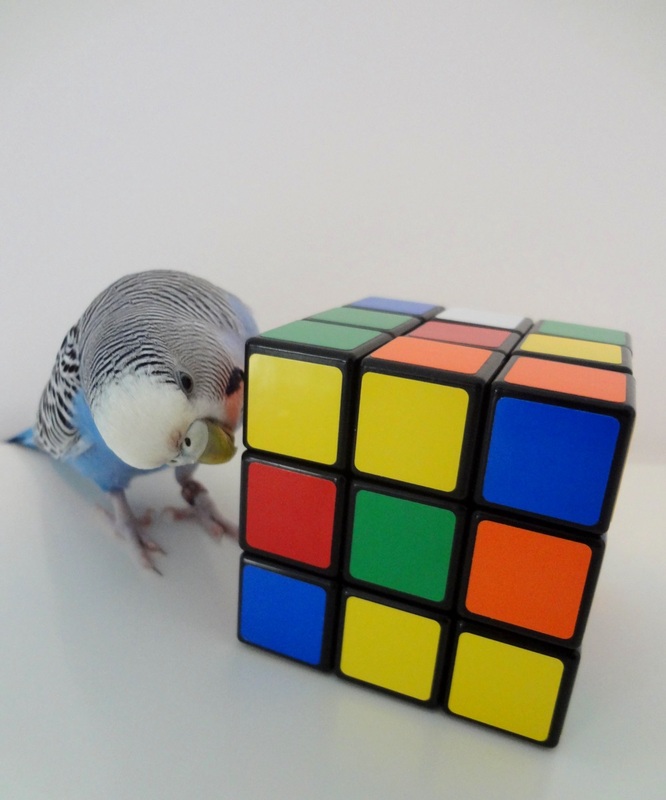 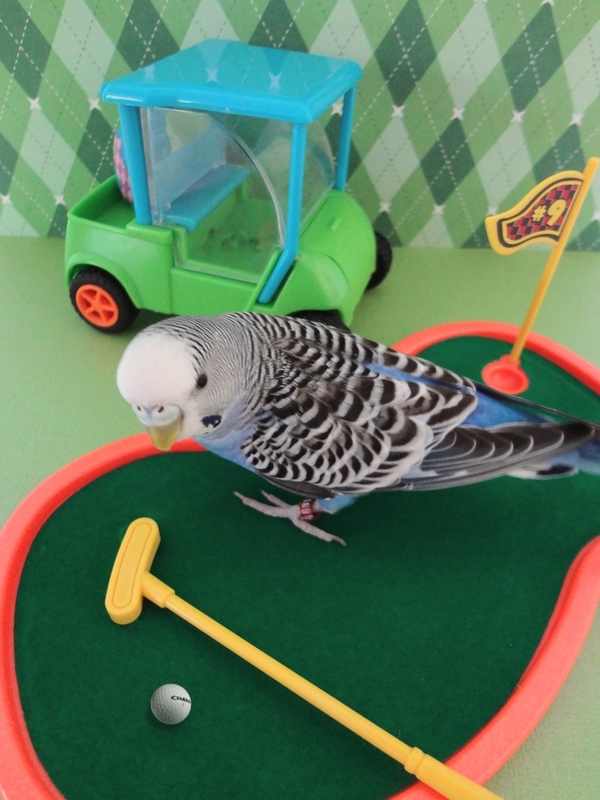 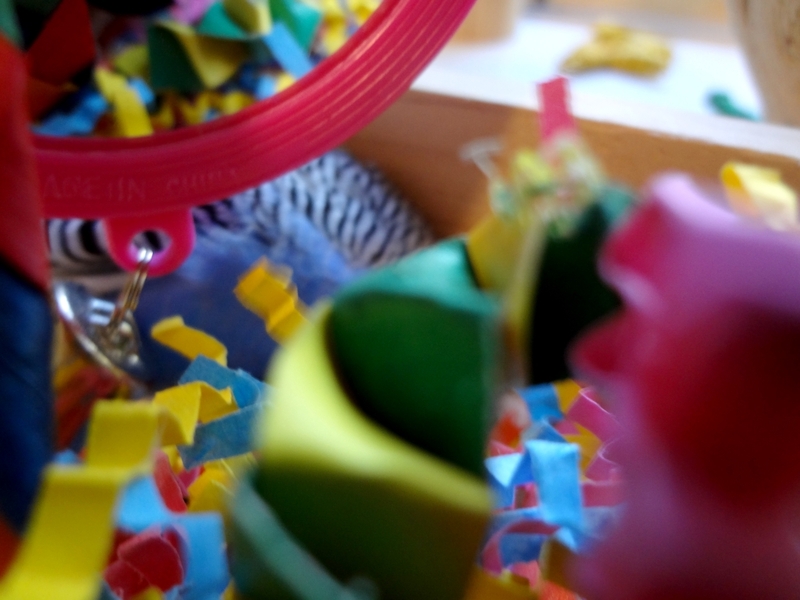 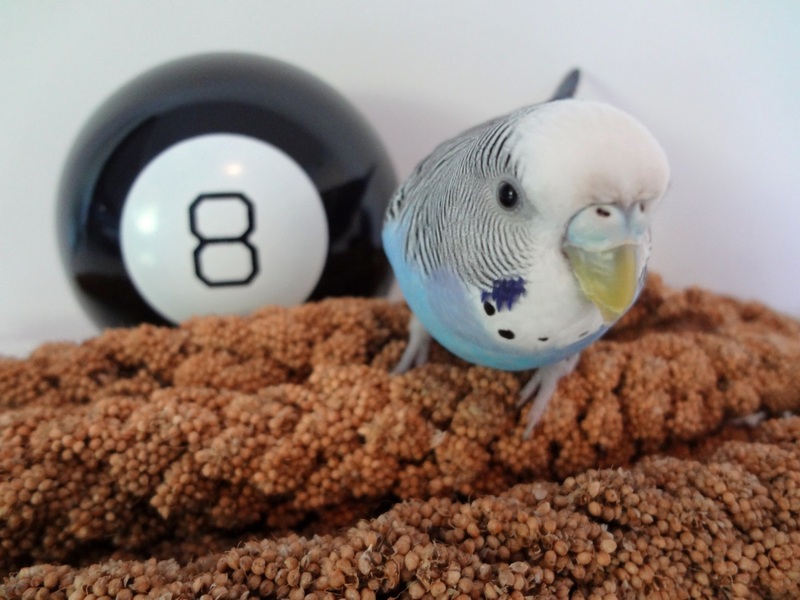 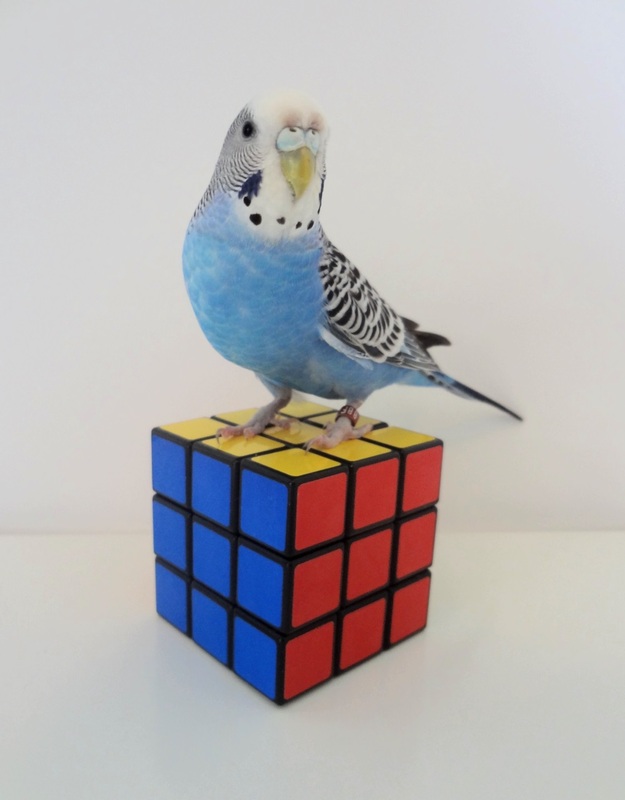 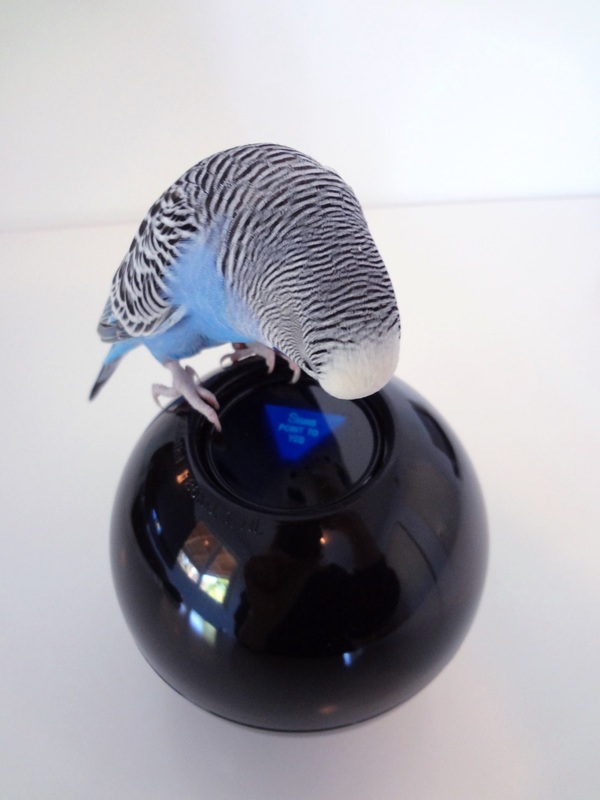 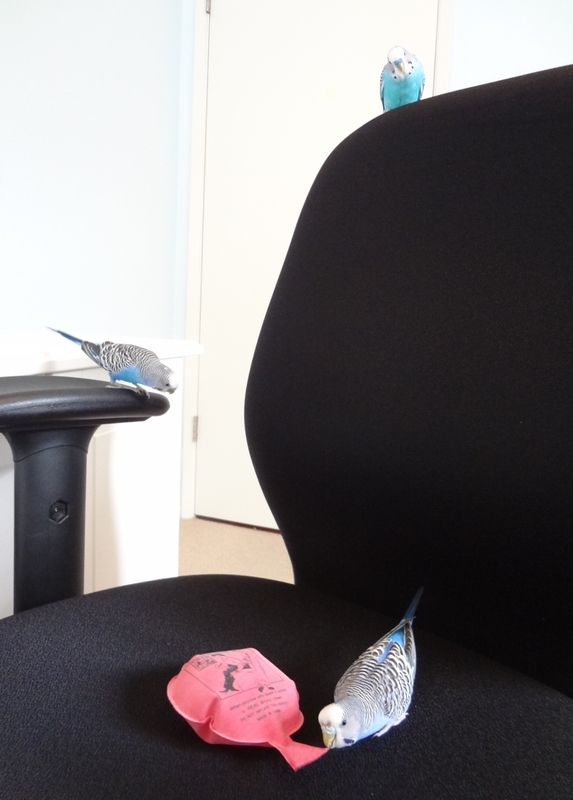 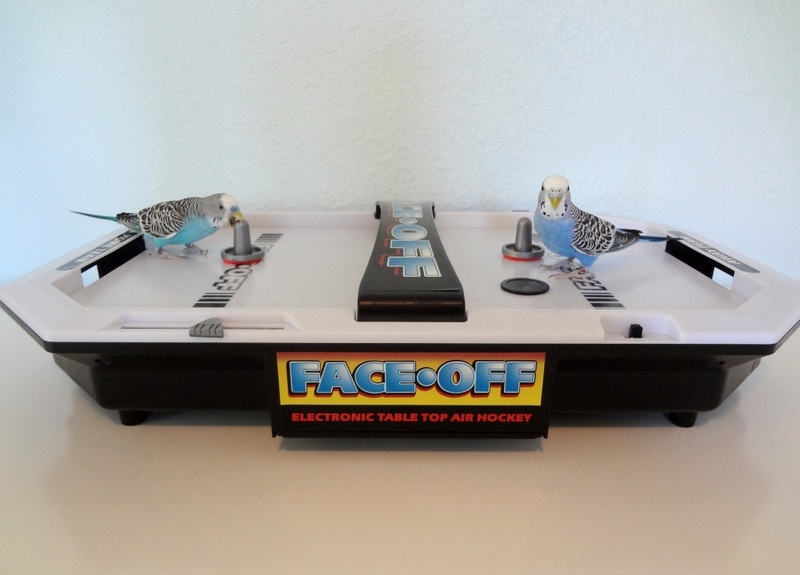 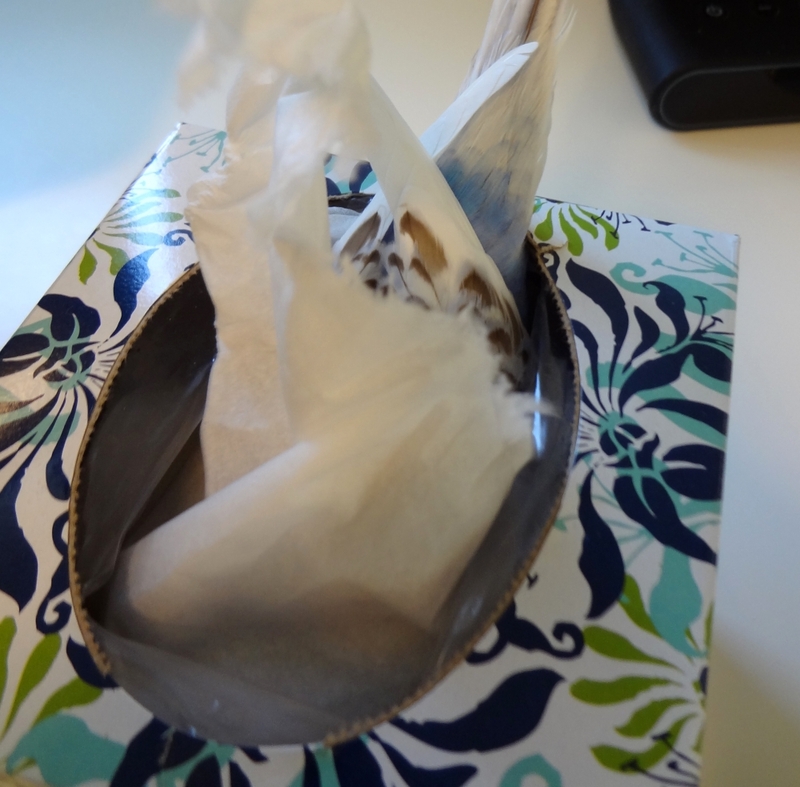 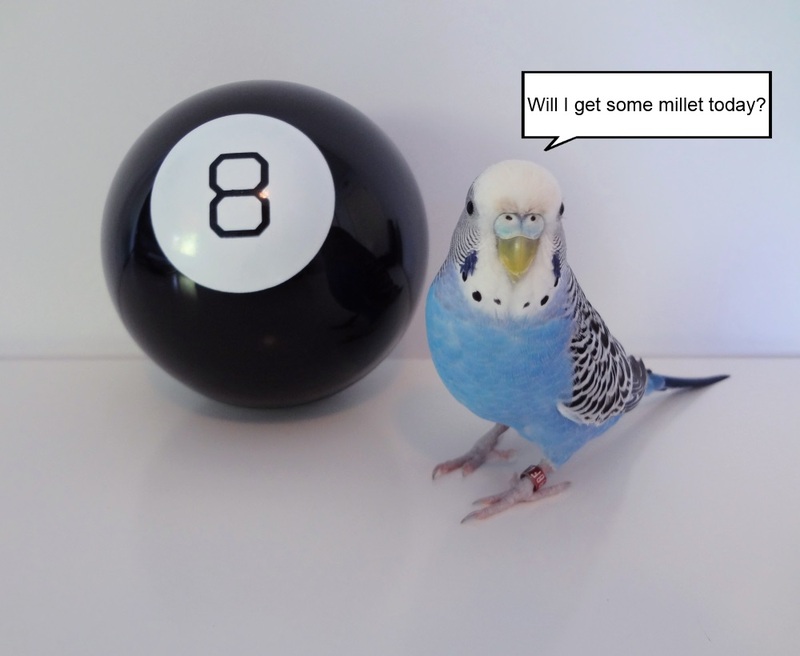 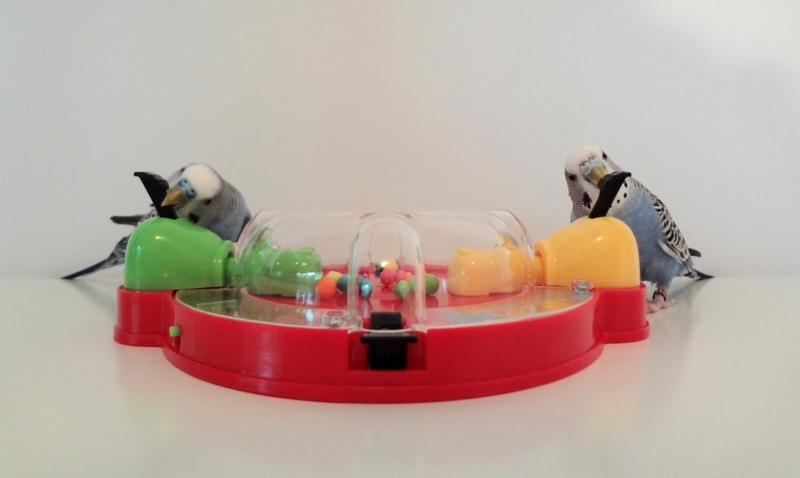 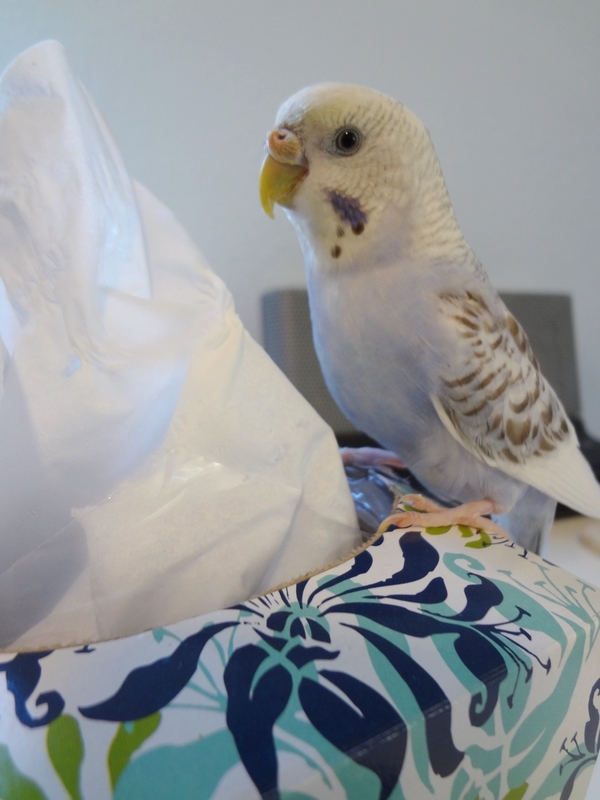 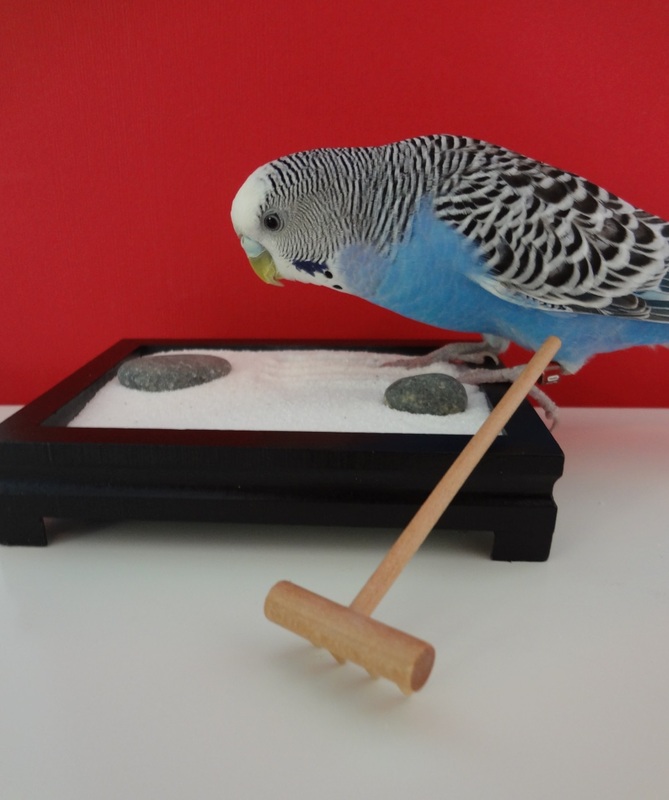 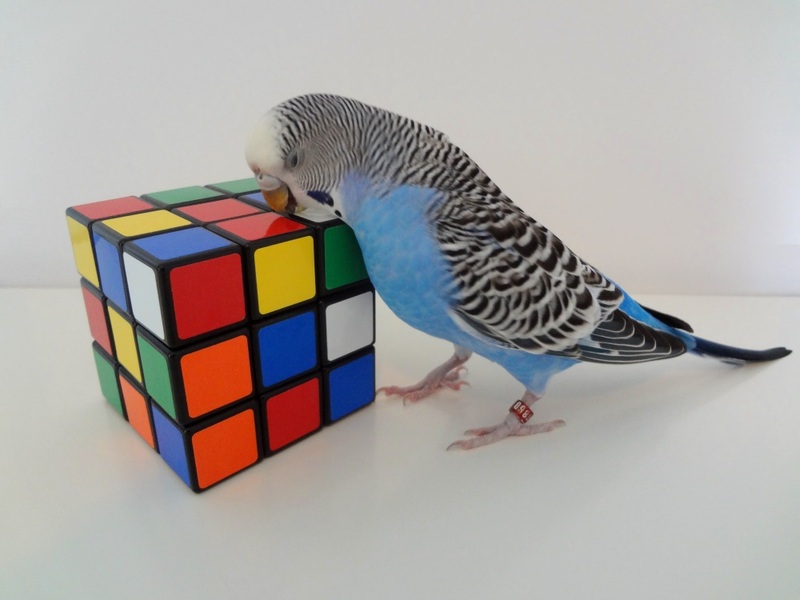 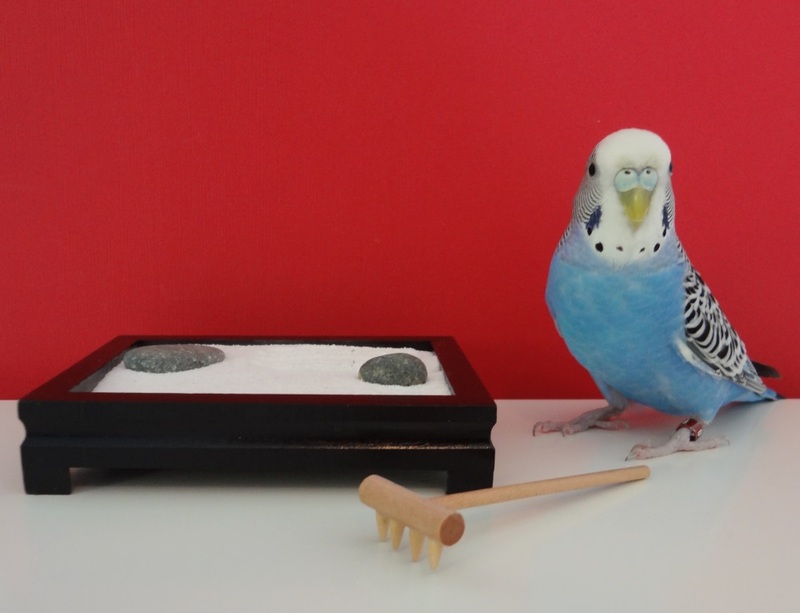 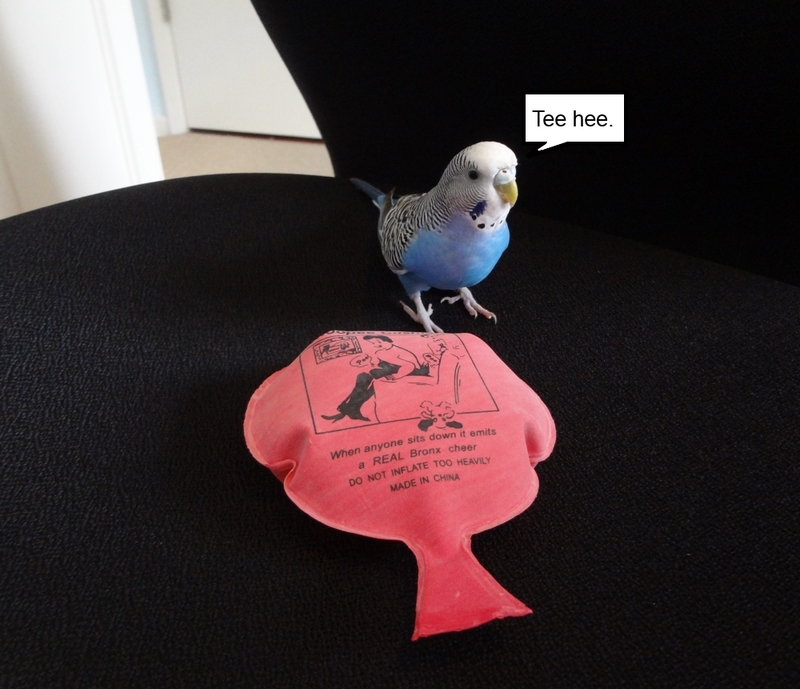 Posted on December 5, 2012 by Michelle M.
Budgies love to play air hockey. 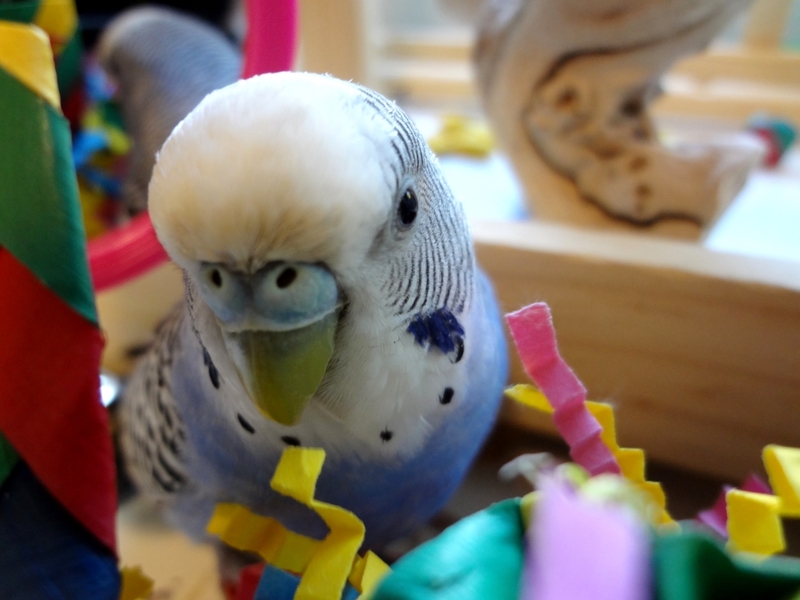 Here’s a little bit of the photo shoot for Carolyn. 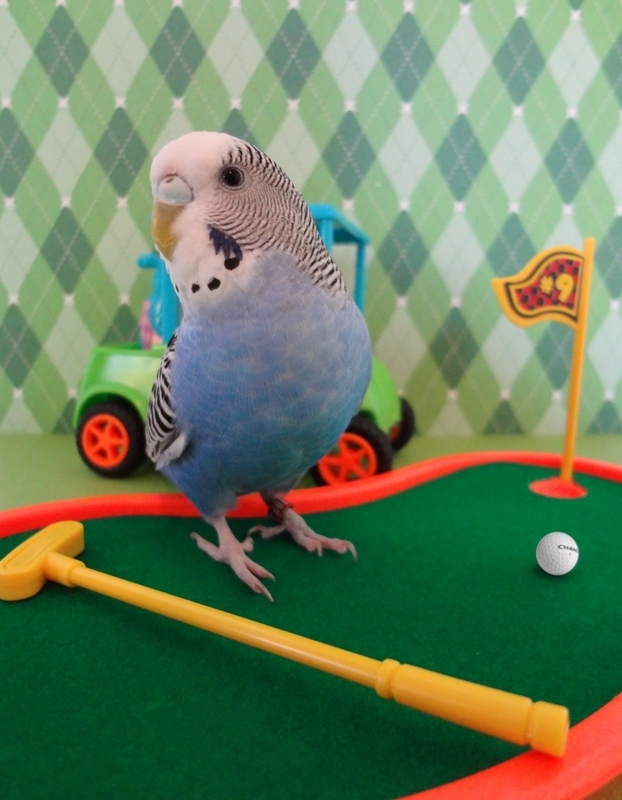 Dewey was definitely more into the game – but he would probably get a penalty for being offsides.